In Hollywood, the glitz and glamour can blind you so you need a good guide….the man who knows this city better than most….Guy Bolton…. So, put on those shades, get comfy in the convertible and get that music pumping…think Carshare but with an author and a very excited book blogger 😉 Guy sings at the top of his voice whilst driving and I just mime and add percussion noises when appropriate. 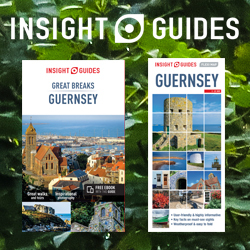 So Guy, where are we now? Home to many Hollywood royalty, Beverly Hills became dominated by actors and celebrities as far back as the 1920s as it still widely known as a prestigious place to live. In the Pictures, it’s the starting location for our murder mystery. A major Hollywood producer is found dead at his palatial home in Beverly Hills and my protagonist Jonathan Craine is sent to investigate. 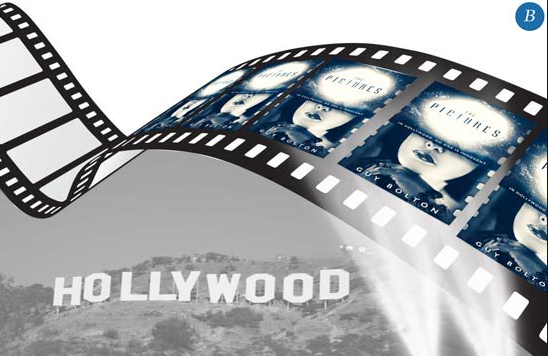 During the Golden Era of classic Hollywood, the Culver City-based studio dominated the movie business. It was largest, most glamorous, and most revered film studio under the leadership of Louis B Mayer. 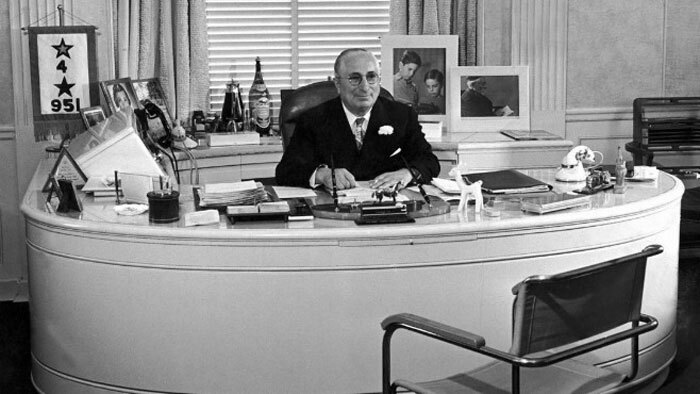 As Head of MGM, Louis Mayer features heavily in The Pictures, keen to make sure that the apparent suicide of one of his top producers doesn’t damage the reputation of Gale Goodwin, one of MGM’s biggest box office stars. Downtown was the center of LA in the 1930s. 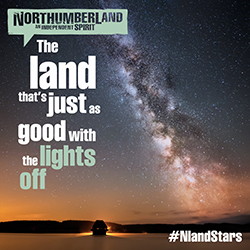 Broadway became the nightlife, shopping and entertainment district of the city, with over a dozen theater and movie palaces built before 1932. In my novels, it’s the location for two key action sequences. In the Pictures, the Civic Center is where the LAPD’s Central Bureau is located. 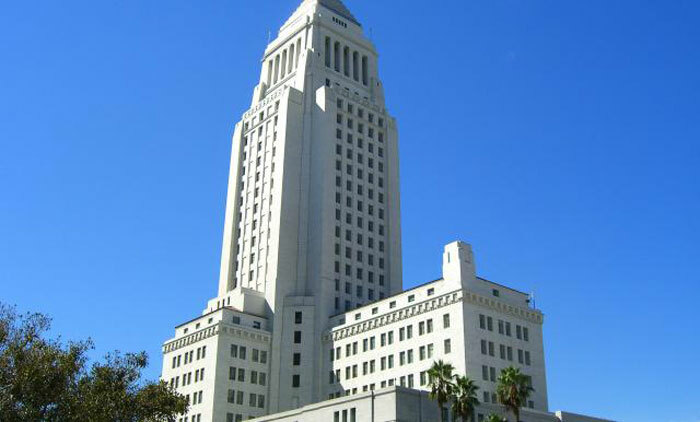 The Civic Center was also the administrative core of the City of Los Angeles and includes the visually striking City Hall, which can be seen in movies such as LA Confidential and Gangster squad. 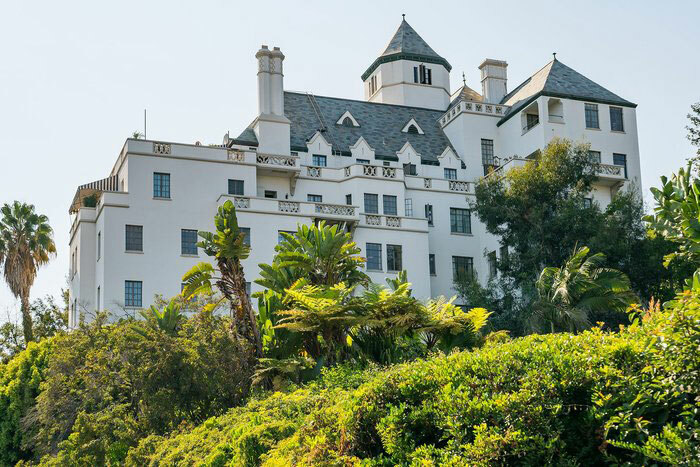 In The Pictures, the Chateau Marmont is where Detective Jonathan Craine interviews Billy Wilson, a press magnate inspired by the owner of the Hollywood Reporter. It maintains the same reputation even now. But back in the 1940s, Greta Garbo had several paramours come visit her penthouse; The British actress Vivien Leigh was living in a third floor suite with Larry Olivier whilst she filmed Gone with the Wind. The hotel threw glamorous parties almost weekly and Glenn Ford and William Holden used to be regulars. Harry Cohn, head of Columbia Pictures, considered the hotel’s reputation for discretion so ideal for his contract actors’ whims that he encouraged them to stay on hotel grounds on weekends, where press intrusion was minimal. “If you are going to get in trouble, do it at the Chateau Marmont,” he used to joke. In the Pictures, Union Station is the location for the climactic final action sequence, where my protagonist Jonathan Craine is trying to chase down a murderer before he flees to Chicago. 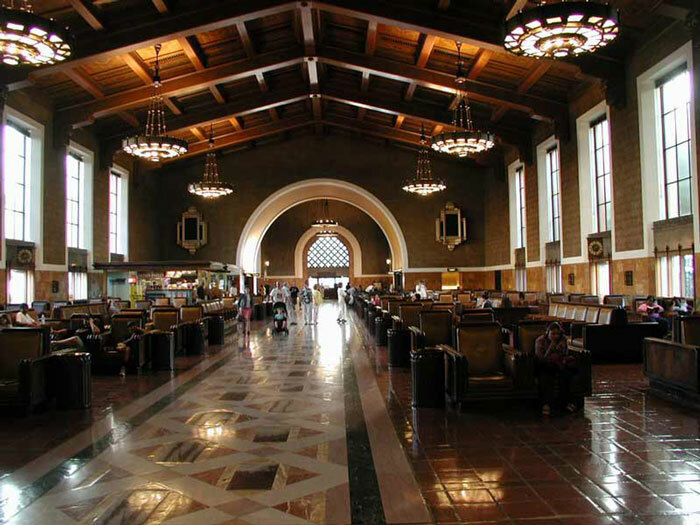 Opened in 1939, Union Station is considered one of the last of the Great Railway Stations built in the United States. The architecture combines Art Deco, Mission Revival, and Streamline Moderne style. It became the main transport hub in Los Angeles until air travel took over. There was even a VIP “luxury” train service so Hollywood stars could travel to Chicago and onto the East Coast. It’s been seen in several films noir, including Blade Runner and Bugsy and is considered a major LA landmark. 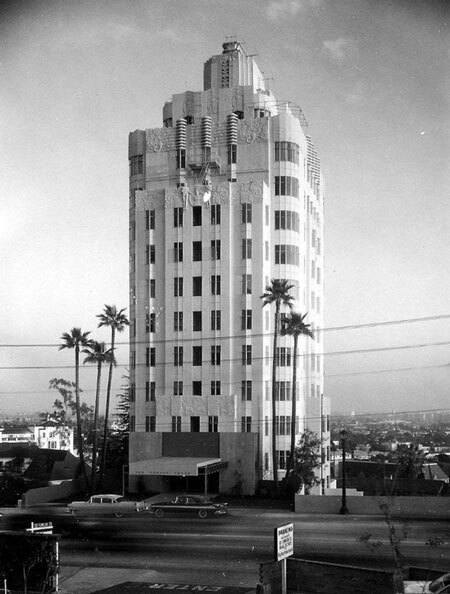 In the Pictures, Sunset Towers is where MGM’s Head of Publicity lives, a glamorous apartment designed with art moderne furnishings. Opened in 1931, the apartments catered to the Hollywood elite and celebrity residents included Clark Gable, Errol Flynn and Marilyn Monroe. In The Pictures, it’s the location of the worldwide premier of The Wizard of Oz. 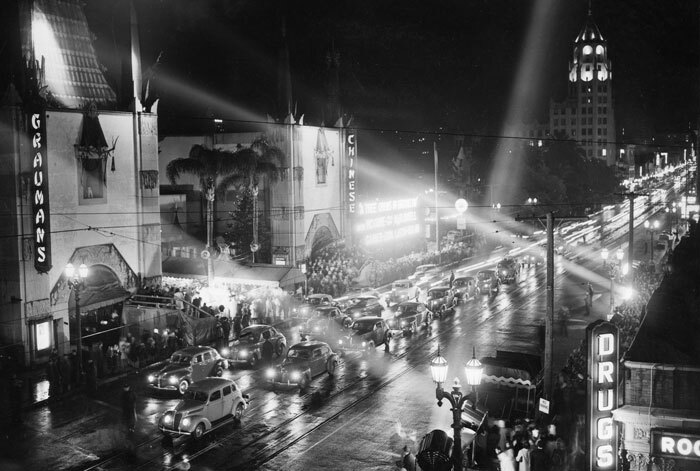 Opening in 1927, and famous for its handprints of movie stars, Grauman is located the Hollywood Walk Of Fame on Hollywood Boulevard. Thanks Guy! My hair might ressemble that of Albert Einstein what with the wind in the open top ride – but driving around Hollywood has been a blast!